Getting involved in local events by volunteering to run one or by helping out can be a great way to gain experience and start building a portfolio, to support a move into professional event management. 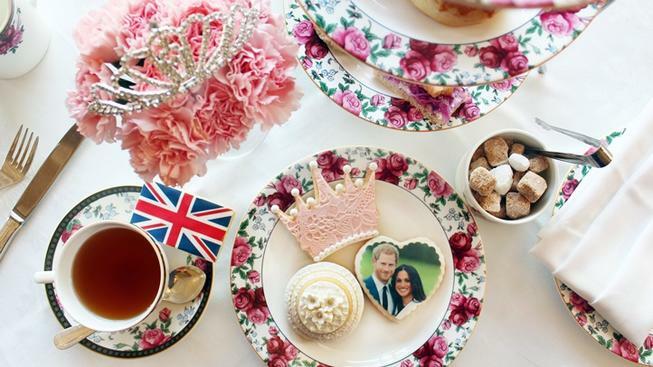 National events offer a great opportunity to get creative with event ideas which involve communities in celebrations and as this year includes two royal weddings there’s plenty to inspire you. But of course the big one that’s grabbing most of the headlines is on May 19th 2018, the marriage of Prince Harry to Meghan Markle – so with less than two months to go, how can you get an event going and use the wedding as a window to your career future? Organising a local event which can help boost your experience and volunteering portfolio, but of course that’s not the main reason for getting involved. The main reward from volunteering to run or take part in an event going comes from the real sense of community giving, sharing and communicating. Street parties have a strong traditional role in national events and can be tremendous fun. Local legislation has been updated in recent years and now often makes it easier to hold these types of events, for example a music licence is not always needed. For information gathering, many local councils signpost organisers to the Street Party website, which offers a comprehensive overview of what to be aware – and beware – of! Sometimes a street party or road closure just isn’t possible, for example if it’s part of a major local bus route. A good alternative is a ‘street meet’, held on a private driveway, cul-de-sac, parking area or garden, where permission given by the owner is enough – permission by the council is not required. The Street Party site also offers additional information on Street Meets. Not necessarily in the street, but in community amenities, such as a local common land and community centres are also good locations for events – especially if there is a building available in case the weatheturns nasty. The Royals are famous for garden-partying, so a garden offers the perfect venue for celebrating a royal event. Local parks might also be used, although may be subject to limitations in numbers, the playing of music or use of barbeques, so checking with the council is essential. If you’ve got a wide screen available in a community venue, then watching the wedding can also be an event in itself, and of course, fancy ‘wedding’ dress can be a fun option. The BBC food blog has some good ideas on food themes for street and royal wedding events. If all events seem to be catered for in your area but you want to volunteer an idea of your own, why not consider a Disney or Fairy-tale-themed wedding party within a street event, to keep the children involved and entertained? After all, in the manner of all the best fairy-tales and Disney moments, someone will be marrying their prince on the day! Private events are of course that, and apart from the usual boundaries of law, respect, awareness and sensible behaviour that we’d all extend to our neighbours if we’re holding a party, there may not be any additional aspects your event needs to comply with, from a legislative aspect. However, if you’re holding an event in any kind of public setting, particularly a street party, then liaising with your local council is essential because – just like a wedding – there’s likely to be a licence involved! Happily though, with an event of huge national interest such as the Royal Wedding, many local councils have been urged by the government to waive charges for street party road closures, so it’s really worth making the local authority one of your first points of contact at the ideas stage, and also as a way of checking there isn’t a specific reason why the event you’re planning shouldn’t go ahead, or be held in the location you have in mind. Many local councils signpost towards the Street Party and The Big Lunch websites as the go-to places for information and guidance, but you will also need to check with the council directly in case of areas for compliance you’ll need to be aware of for your own event. Common areas of compliance include road closure, insurance, impact on residents and emergency access arrangements. In some cases, the local authority may require you to submit a temporary road closure licence and events licence form, even if you are not accessing funding. This is usually just a simple form, completed and submitted so that the council can be aware of all the public space events (such as street parties), to support their own resource planning and risk management, for example traffic diversions and emergency service access planning. Signing this form often also confirms you’re aware of and will be planning to hold your event in compliance with the council’s guidelines for public space events, such as limitations on use of barbeques, availability of alcohol, decorations and fireworks and fundraising. Contact local and national charities and organisations, to see if they are running an event they’d welcome you to come and volunteer to help with. See what your friends and family are up to on the day and maybe organise an impromptu event. Particularly if no one seems too fussed about the wedding but is more keen on the football … as May 19th’s also the FA Cup Final day, you could organise an informal ‘alternative’ football viewing party instead, which would still give you the chance to gather plenty of portfolio evidence of your role in event planning. There’s another royal wedding coming up in July, so time to start planning for that one. All of our courses give you access to a wide range of volunteering opportunities, which can really help to build your events career from this day forwards!